NurseSupplies.com.au ships Nusing Equipment Australia wide! Nurse Supplies stocks nurses equipment and we ship nursing supplies Australia wide including Sydney, Melbourne, Brisbane, Adelaide, Perth, Canberra. Feel free to contact us on 1300 648 274 if you need assistance ordering from our nurses shop online or email us on info@nursesupplies.com.au. Happy Shopping! 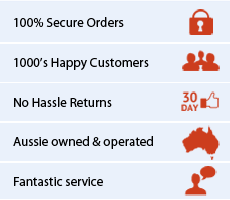 Welcome to nursesupplies.com.au, we are working hard to launch one stop shop for nurses supplies and equipment in Australia. As the name suggests we specialise in nurse supplies, nursing supplies, nurse equipment and nursing equipment. We aim to add large range of exclusive products for nurses only!